As this was my first experience at conference, I was excited and a little apprehensive. Happily Emilyn was very supportive, showing me around, letting me know what I had to do, and at one point sending me back to the B&B to get my all-important voting card! Speaking of the B&B, we were made very comfortable at the Heidi by Michelle and Alastair, with lots of laughter around the breakfast table. It’s two minutes’ walk from the conference centre, and includes access to the local gym, so I would advise the branch to book there again in future. When I arrived on Friday I was frankly a wreck, having endured a late night with the baby prior to the early train. I squeezed in a shower before the New Delegate Workshop, which left me better-oriented but no less shattered than before. I resisted the temptation to go back to the Heidi and sleep in order to see Rebecca Long-Bailey, and was glad I had. With an exhaustive command of detail and an endearing passion for the finer points of Labour’s industrial strategy, I could see why she is hotly tipped for greater things by luminaries such as John McDonnell. It was fantastic to see the solidarity for our strikers at the Alternative Futures Group, who have had their sleep-in payments slashed by a whopping £15. (See picture. I think that’s me attempting the black power salute behind Gavin Edwards.) I was made very welcome at the regional meeting despite my dishevelled, wild-eyed demeanour. On Saturday morning I faced a tough choice between workshops. UNISON Social Care Strategy certainly seemed relevant to my role, but so did The Violence at Work Charter Campaign. Needless to say, I chose violence. The workshop was adeptly chaired by Gavin Edwards, and we shared our experiences; I will certainly be taking the charter back to HR. I skipped lunch in favour of the subversive thrills of the Broad Left fringe meeting, where we discussed the need for unity in the upcoming NEC elections. (Comrades, if you ever read this, I’m sorry for putting the old fiver in the hat; it was all I had on me!) Conference proper went relatively smoothly. All motions were passed barring a single LGBT+ motion that was controversially ruled out of order by Standing Order Committee despite our resolute support. Emilyn’s speech in support of the “Bargaining for good Mental Health policies in Community workplaces” motion was a roaring success, in that people literally roared like a pride of lions. In fact, the business of conference went so smoothly that we were able to take Sunday off. I advise any other conference virgins considering attending to jump in; the water’s lovely! 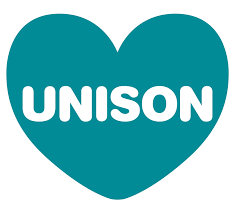 Reach out to members and non-members with an event – a picnic, a stall in the canteen, cupcakes or a social The article It’s spring – let’s Go for Growth first appeared on the UNISON National site.